You have a photobooth booked for your business - now what? Well, it would be tragic if your photobooth rental was underutilized during the rental period; so you will have to make a plan on how you’re going to use it, when you’re going to use it, and where exactly it’s going to be placed. How you prepare for a long term rental versus a short term term rental is also drastically different. We have compiled some tips on how to prepare for the best photobooth experience possible that can be used for many different rental scenarios. For any event, it is important to have a specific reason as to why you are holding it, who it benefits, and why guests may want to come. Simon Sinek, a British/American motivational speaker and marketing consultant wrote a book called, “Start with Why.” He stresses that the “why” should come before the “how” and the “what.” In the case of a wedding, your guests will want to attend because they love you, support you, and want to see you during an important milestone in your life. During a charity event, guests will want to explicitly show that they are interested in supporting that specific causes for various personal reasons. Even for a corporate holiday party, it can be important to highlight certain employees who have worked exceptionally hard during the year and deserve that recognition. By allowing guests to express themselves and have fun during an event, the more they will want to share your photos beyond the guest list. Figuring out your “why” will ultimately make the photo booth experience so much better cause you will be able to look back on the photos with a sense of purpose and meaning. Make an Announcement. At the beginning of your event, it cannot hurt to make an announcement about the booth and how important it is for you to get photos of everyone enjoying themselves. If you have a pamphlet or a sign (such as at a wedding), and if you explicitly draw attention to the booth, guests will feel obligated (in a positive way) to fulfill your wishes. During this announcement, you will also have the opportunity to draw attention to the photobooth features. The easy social media sharing and fun props tend to be a big hit with guests. If your photobooth rental is long term, make sure to remind your audience and clients that the photobooth is available. Place it Strategically. Visual cues like signs and posters can help guests utilize your photobooth. Prior to the event, put yourself in your guests’ shoes and place the signs strategically so they can find the booth with minimal complications. Sometimes it only logistically makes sense to put the photobooth off to the side, but the more accessible it is the more people will use it. Halfway through the event, giving guests a gentle, second reminder about the booth’s availability. For a long term rental, such as in a bridal store, make sure to have the proper signage and encourage your customers to take photos in the booth. Stores will often come up with a fun hashtag that allows customers to search the photos more easily on Twitter, Facebook, and Instagram. Hold a Contest. Everyone loves to participate in contests, out of good fun or out of extreme competition. Holding a contest with categories like “best pose” or “best use of props” is bound to have your guests excited to use the booth. Before the end of your rental, figure out what you are going to offer in terms of a prize. A contest will have guests buzzing about the event far after it has ended, leaving you with the memories and the photos that you hoped for. Your details are everything. 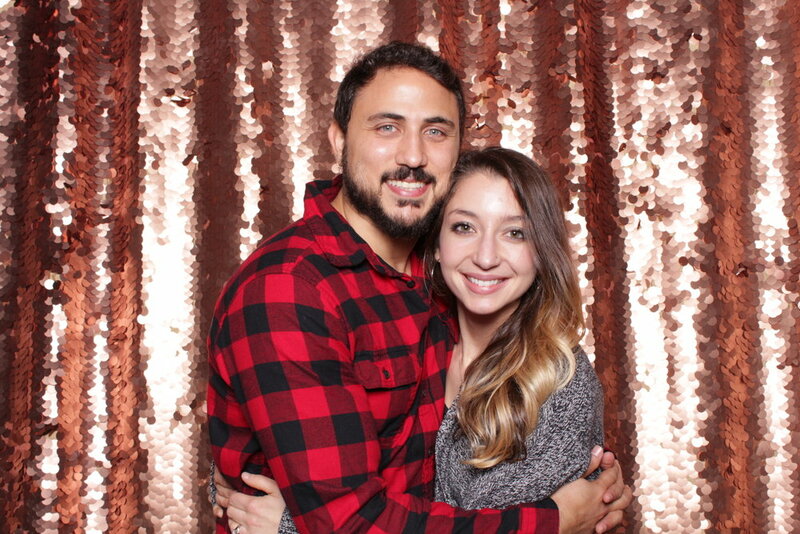 From our experience, the best backdrops, booth options and props can make or break a photobooth experience. However, these details are nothing to sweat about! Figuring out which backdrop to use is going to be more personal preference and the least of your photobooth guests’ worries. Our best advice is to choose the backdrop that appeals to you the most at first glance, then gather suggestions from friends/family/coworkers on the props. They may surprise you with their suggestions, and we can always custom order anything that is not on hand. If you’re stuck on which backdrop to choose or which props to order, we can help you decide on these details based on your specific budget. Preparing for your best photobooth experience also means staying within your budget. Luckily, once the booth is set up then you won’t have to worry about any anything else! 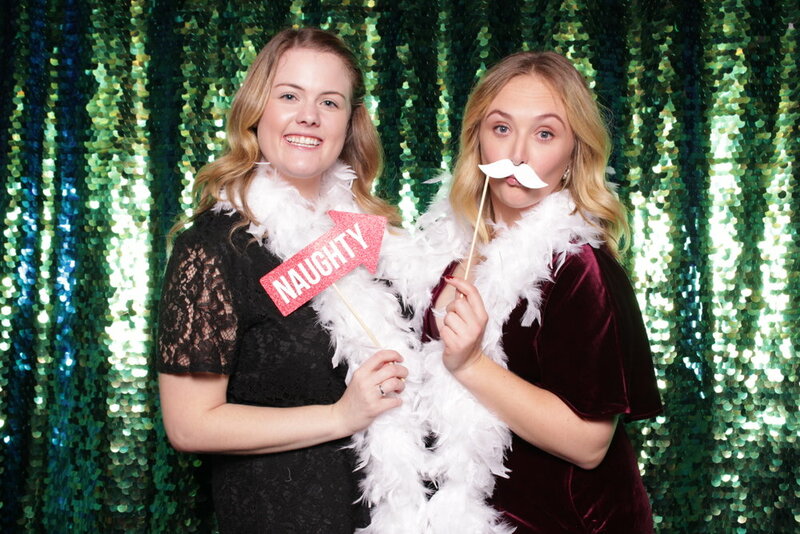 Our best advice for photobooth planning is to overthink about the details and contingency plans before your rental - but once the event has started, relax and enjoy the experience! Chroma Photobooth is a San Francisco based company. Book your reservation on our website or by calling 415-570-8452.